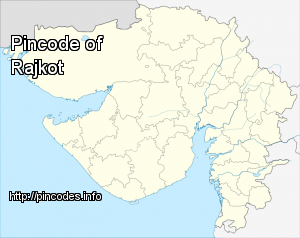 Rajkot (Rājkot ) is the fourth largest city in the state of Gujarat, India, after Ahmedabad, Surat, and Vadodara. Rajkot is the center of the Saurashtra region of Gujarat. Rajkot is the 35th-largest urban agglomeration in India, with a population more than 1.2 million as of 2015. Rajkot is the seventh cleanest city of India. 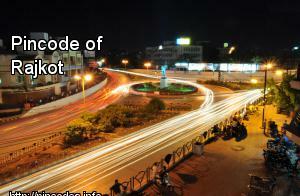 Rajkot is also the 22nd-fastest-growing city in the world. The city contains the administrative headquarters of the Rajkot District, 245�km from the state capital Gandhinagar, and is located on the banks of the Aji and Nyari rivers. Rajkot was the capital of the Saurashtra State from 15 April 1948 to 31 October 1956, before its merger with Bombay State on 1 November 1956. Rajkot was reincorporated into Gujarat State from 1 May 1960. Rajkot has been selected as one of the hundred Indian cities to be developed as a smart city under PM Narendra Modi's flagship Smart Cities Mission. Patel was travelling along with his aides in his Fortuner when his SUV collided with a bike on the Rajkot-Chotila Highway. Priyanka vandalised the house to make it look like a burglary. The incident took place on November 29.